She’s turning four soon. Today I made the first ballerina that will twirl from the banner for her birthday party. The directions were in the 2011 November/December issue of Marie Claire Idees magazine, my favorite craft magazine, even though I can’t read French. 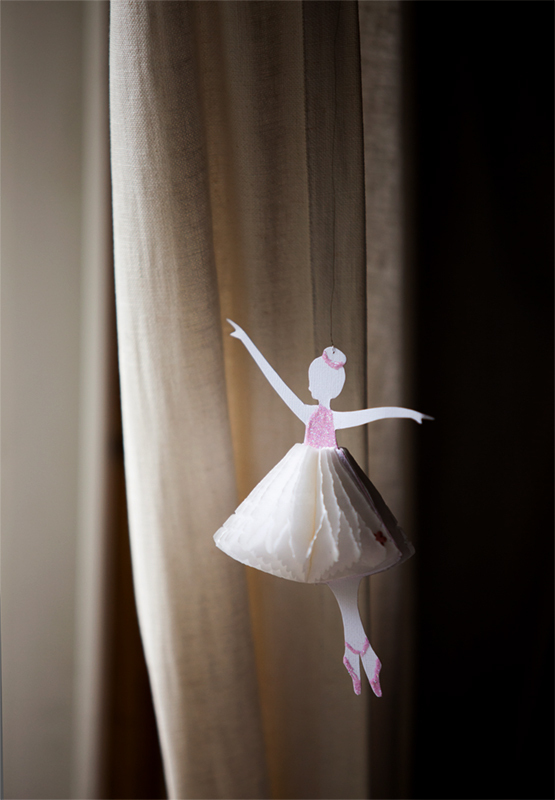 Paper ballerina - made from card stock, a piece of honeycomb bell and pink glitter.